Twilight | Just Shooting Memories! I enjoy history. That includes visiting historical monuments, museums and sites. I believe there is so much to be learned from the past and taking that time also grows a sense of belonging in a person. When I was in school, the teachers / professors would give numbers for the casualties in different wars. It is not often that point can be driven home more than visiting one of the national cemeteries. 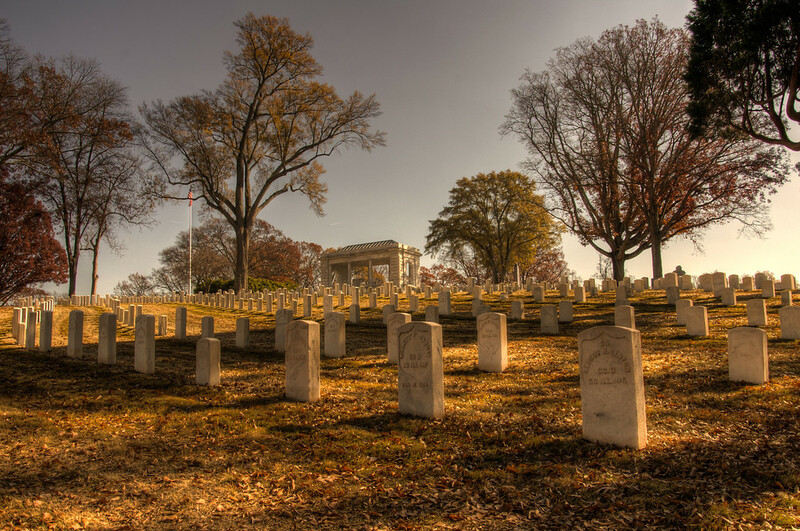 This shot is in the Marietta National Cemetery.